From retailers to warehouses, we service all types of businesses. Great for manufacturers, warehouses, and retailers. Restaurants, food production facilities, and grocers all benefit from RPM’s service. Industrial and chemical plants and food production facilities all use RPM for special or hazardous waste. RPM works with your company to identify all materials in your current waste stream that can be reused or recycled via a waste audit. Working with your staff, we develop a comprehensive program to divert this material from the waste stream and capture it as part of our recycling program. After all material is removed from the waste stream, we will identify the proper new service levels and identify the potential efficiencies that can be realized from equipment and service level changes. We will work with your current waste hauler to implement these service and waste disposal equipment changes and capture all potential savings. All of this is done at no net cost to you. 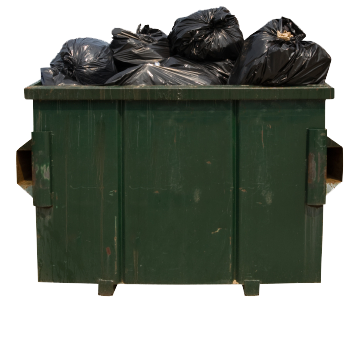 Our comprehensive waste assessment diverts materials from the waste stream to save on cost. Plus, our consistent oversight of your account means we are always looking for additional cost savings.